“Nothing could have prepared us for what we saw." 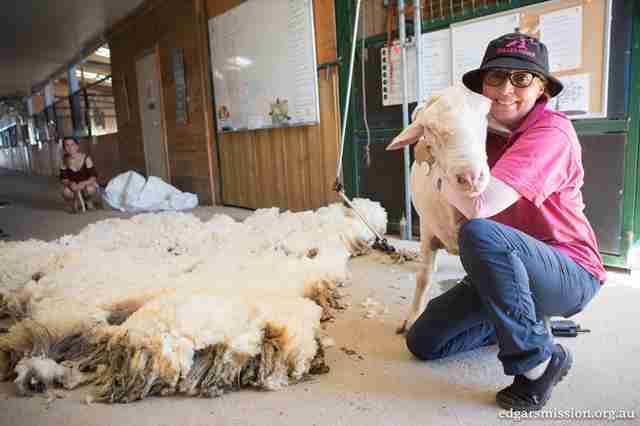 Koky the sheep was 4 years old, but his fleece had never been shorn — which nearly cost him his life. 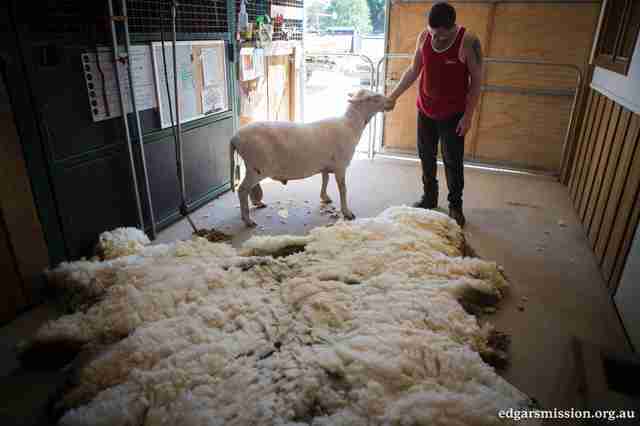 Pam Ahern, founder of Edgar’s Mission, a sanctuary in Victoria, Australia, had gotten a call about Koky from local officials. 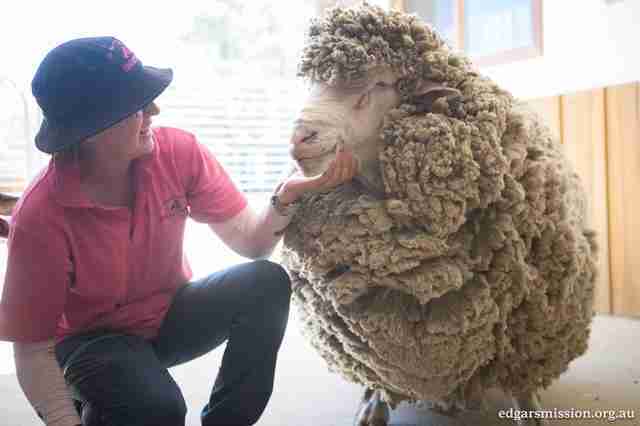 Seeing Koky’s overgrown fleece in person was a shock to Ahern. 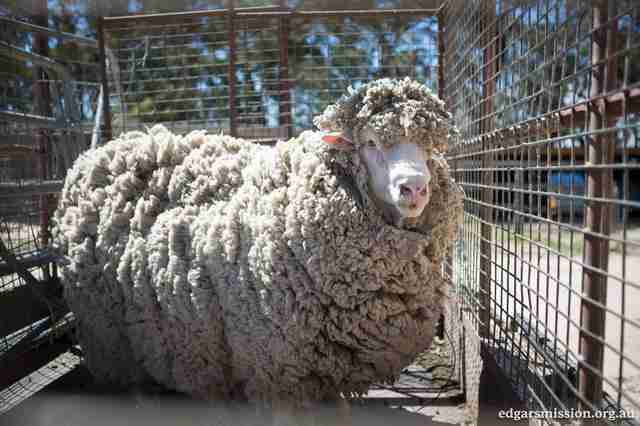 Having such thick fleece wasn’t just uncomfortable — it was dangerous. “The weight of it causes problems, especially so if the animal lies down and rolls, and it can make getting up very difficult,” Ahern said. 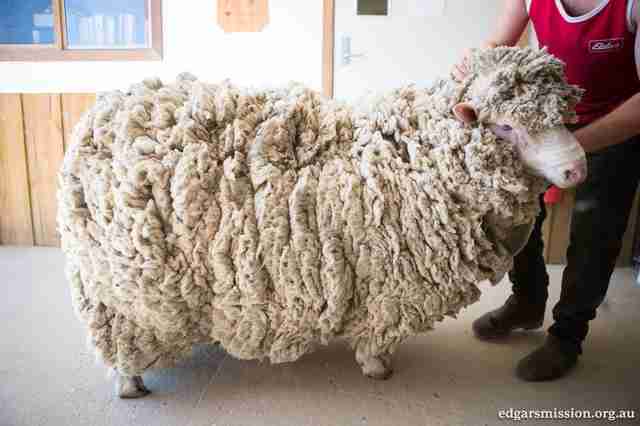 If a sheep falls down and can’t get up, she explained, they may get bloat — a dangerous condition caused by a buildup of pressure on a sheep’s stomach organs. This can lead to a sudden, unpleasant death. Ahern also discovered wire tangled up in Koky’s fleece that was cutting into his flesh. “I found a piece of fencing wire that had been placed around his neck, perhaps as some kind of tether,” Ahern said. If the wire had remained in Koky’s skin any longer, he could have gotten flystrike, a condition in which maggots eat away at an animal's flesh, Ahern explained. 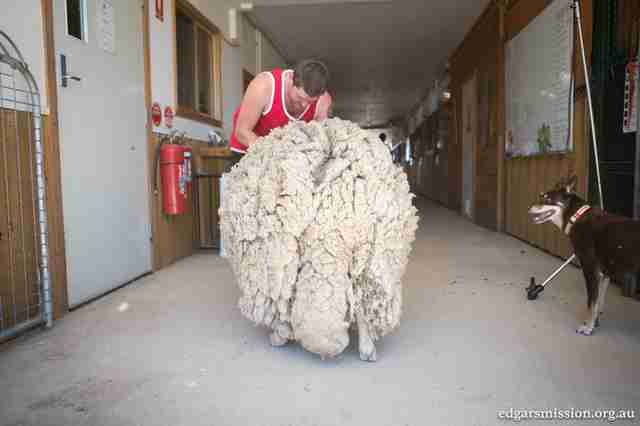 Koky was shorn immediately — and the sheep’s relief was obvious. “You could see his mouth twitching in delight,” Ahern said. 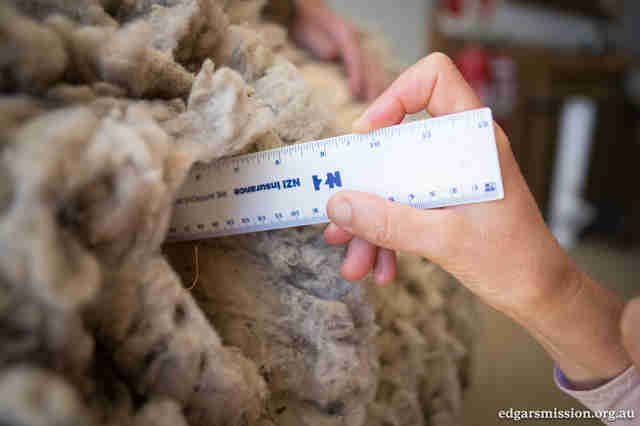 When they weighed Koky's fleece, it was a whopping 40 pounds. Koky is still in quarantine at the sanctuary, but Ahern thinks he’ll make a lot of friends once he joins the flock of other sheep living at Edgar’s Mission. But for now, Koky is enjoying the company of his human caretakers. 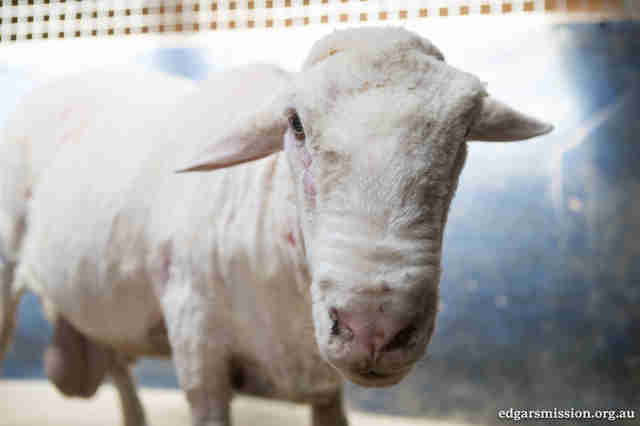 To help Edgar’s Mission rescue more animals like Koky, you can make a donation to the sanctuary.